“The plan is an insult to communities in rural Ireland who have suffered significant cutbacks under Fine Gael and Labour. “There seems to be no let-up in the blatant disregard that Fine Gael and Labour have for the value of rural communities. “This announcement is nothing short of a disgrace and clearly underpins the Governments contempt for communities in our region. 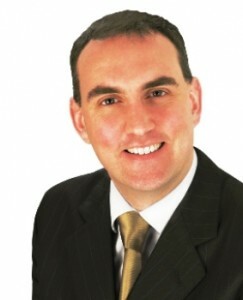 The Sligo-based general election candidate said that following the litany of local broken promises to the people of Sligo, Leitrim and Donegal after the 2011 election Fine Gael & Labour were adding “insult to injury with a pitiful €30m over the next 6 years for the entire country. “To put this into perspective, the Government have made no less that €96m available through different projects to the Taoiseach’s own constituency over the last year. However it seems the rest of the country is only entitled to a third of that over the entire lifetime of the next government! Where’s the fairness in that? “The government has ignored, neglected and slashed services to rural Ireland. It closed 139 Garda stations, slashed LEADER funding, eroded the post office network and stalled the roll out of rural broadband. It has crucified small farmers with unworkable schemes. It has done nothing for small businesses struggling with the burden of commercial rates. “Just last year the Government cut Leader funding by millions from counties in the north west and now offer a paltry €30m for the whole country in an attempt to cover up the damage they have been doing. Fine Gael and Labour have no policy on rural Ireland. PR stunts and photo calls are no substitute for honouring our heritage and properly supporting rural communities. 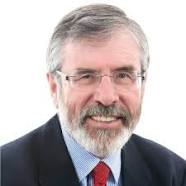 Sinn Fein Leader, Gerry Adams, who described the allocation as “derisory and insufficient to meet the needs of rural dwellers and communities,” said the government announcement of the €6 million a year rural funding was “pure PR spin. “Rural communities and small farmers have borne the brunt of bad government policy for almost five years, including the policy of forced emigration. Given that 70% of our citizens live in rural Ireland the government needs to rural proof its decisions and provide proper investment. “Government policy has forced the closure of garda stations, leaving citizens and communities vulnerable to crime; schools have been closed and most towns and villages are blighted with boarded up shops. “Following a focussed dialogue with rural Ireland involving thousands of people Sinn Féin produced a detailed report outlining measures we would take to rejuvenate rural Ireland and build sustainable communities.